The just completed Kraft Nabisco Championship has a long and very successful history of inviting amateurs to play. And more often than not, those golfers who earn low amateur honors at the KNC go on to very productive professional careers. At the very least, it's a great indicator of a golfer who you're going to be seeing as an LPGA Tour member later on. 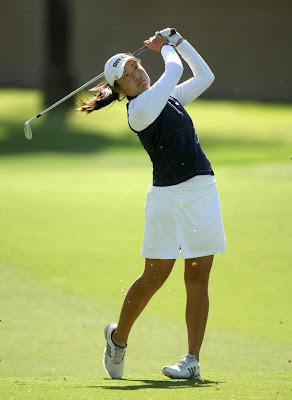 This year, Tiffany Joh shared low-amateur honors with 15-year-old Alexis Thompson. Joh is a senior at UCLA, where she has had an All-American career. She was runner-up in the NCAA Championships in 2008, and in 2006 and 2008 was the U.S. Women's Public Links Championship winner.